Determining the stage of breast cancer metastases is an important component of cancer surveillance and control. It is laborious for pathologist to manually examine large amount of biological tissue and this process is error-prone. Deep learning methods can be used to automatically detect cancer metastases and identify cancer subtypes. 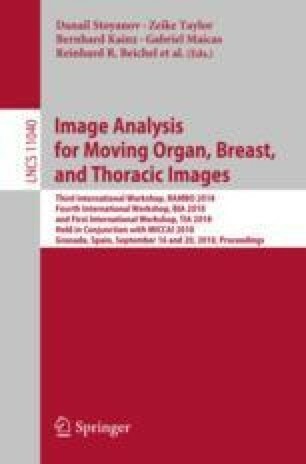 However, current deep learning-based methods mainly focus on local patches but ignore the overall structure of lymph tissue, due to the memory limitation and computational cost of processing the gigapixel whole slide histopathological image (WSI) at a time. In this paper, we propose a structure-aware deep learning framework for staging of breast cancer metastases, in which we introduce lymph structure information to guide training patch selection and prediction features design. Our approach achieves \(85.1\%\) accuracy on slide-level and 0.80 kappa score on patient level. In addition, we see \(6.1\%\) and \(5\%\) performance gain on slide level and patient level classification respectively after introducing global structure information. S. Zhang, L. Sun—equal contribution.